In the show, Belle is one of the few characters that kept her name in both the Enchanted Forest and Storybrooke. There was a bit of a time where she went by the name of Lacey, but that had to do to a memory spell put on her by Regina. Belle’s story somewhat follows the typical story of Beauty and the Beast, where in this case, Rumplestiltskin also serves as the beast. Her father needs Rumple’s help for a war (I think?) and the trade is that she comes to be his maid. Almost from the beginning Belle realizes that Rumple is not quite the monster he appears to be and tries to bring out the good in him. Being Rumple, he is not willing to give in to the lighter side of things and prefers to hold on to the darkness and his magic. They have a very rocky relationship throughout the seasons. Like in the story, Belle is known to be a bookworm which made this recipe all too fitting. I know they’re called “bookies” because they’re a combination of brownies and cookies, but it was just perfect that they also played to one of her biggest interests. In Storybrooke, Belle is the librarian. 1. Follow brownie box directions to preheat oven. 2. Prepare brownie batter and spread into a 9×13 baking dish. 3. 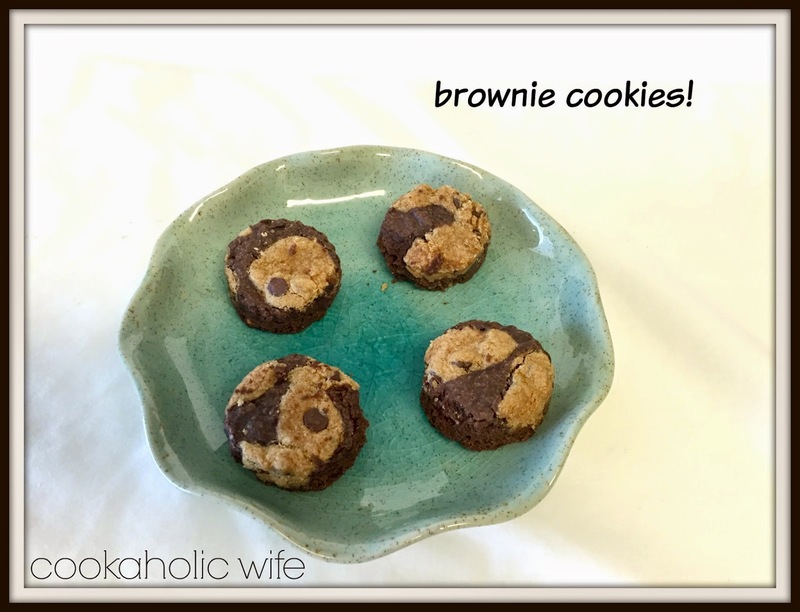 Drop rounded teaspoons of chocolate chip cookie dough over the brownie mix. 4. Bake according to box directions (usually 28-32 minutes). 5. Use a cookie cutter to cut out circles of bookies. 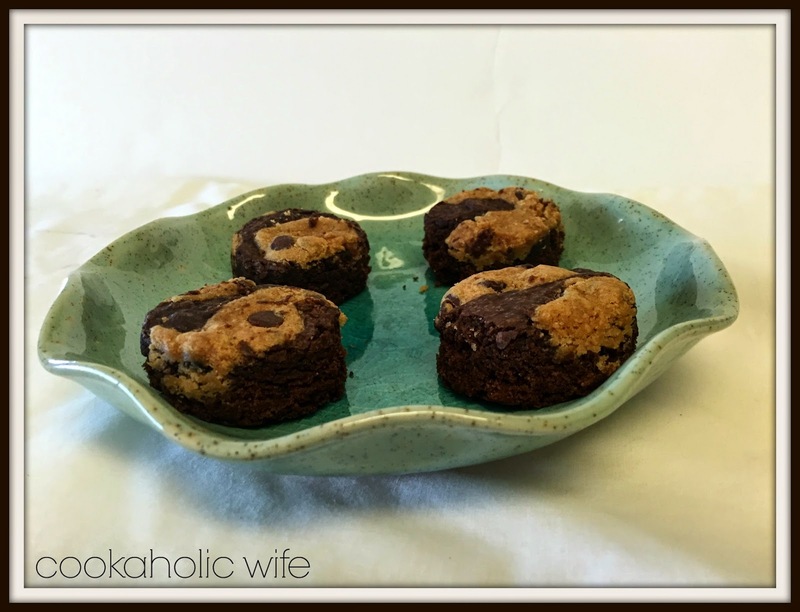 You can’t go wrong with a cookie baked into a brownie, ever.